Use code 'free delivery' at checkout for free shipping on all orders over £10! - Order by 3pm Mon-Fri for same day dispatch. 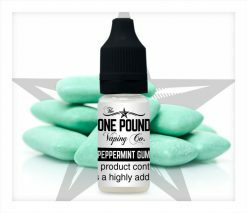 One Pound Vaping Company Cola Bottles e-liquid has the unique sweet and aromatic flavour of gummy cola bottles. 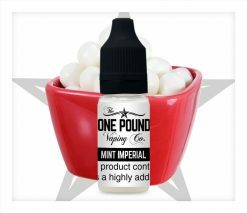 You can enjoy the delicious taste of the sweetshop favourite with this e-liquid. It makes a good choice if you love confectionery flavours. 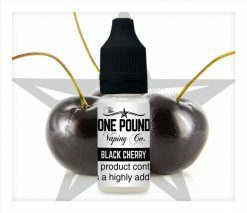 The light and refreshing cola taste is reproduced perfectly, making Cola Bottles a great all day vape. 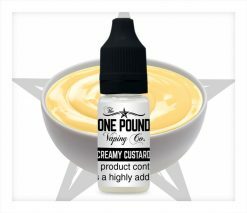 Mixed at a 60VG/40PG ratio, this top quality UK made e-liquid will give you the perfect balance between flavour and vapour production. It is perfectly normal for e-liquid to darken in colour over time, but similarly, flavours can become stronger. We recommend that you store your liquid in a cool, dry, dark place, because this will actually improve its flavour. Please remember that nicotine is toxic, so store your e-liquid away from other foodstuffs and well out of the reach of children and pets. Expertly made in the UK. 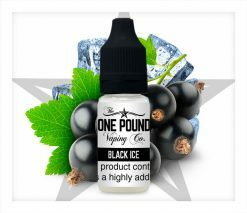 One Pound Vaping Company make great e-liquids at a budget price, however we never compromise on quality. We use only the highest quality pharmaceutical and food grade ingredients, sourced from the UK and EU. Furthermore, all of our ingredients conform to British and European safety standards. 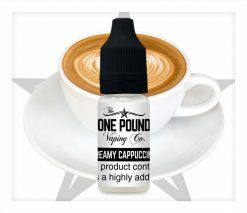 You can be certain you’re getting good quality with our e-liquids, because we thoroughly test all of our flavourings and recipes before we manufacture them. 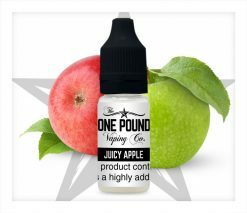 One Pound Vaping Company e-liquids contain natural and artificial flavourings and propylene glycol. They are also free of diacetyl and acetoins. Our e-liquids are bottled in a clean room which has an ISO 9001 certificate. 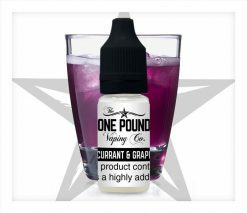 The One Pound Vaping Co.